Welcome to our cozy and comfortable school building from 1920. We have carefully renovated the school which has six bedrooms that can accommodate up to 12 people. There are several lounges with fireplaces, two spacious kitchens and two bathrooms plus separate toilet. For the outdoor life, there are two large porches (one with a roof) and a large garden. For the children there is a playhouse, swings, trampoline with safetynet and a climbing frame. In the garden you find a BBQ, fireplace and a woodfired hot tub with seats for 7 adults. There are two canoes available to borrow. 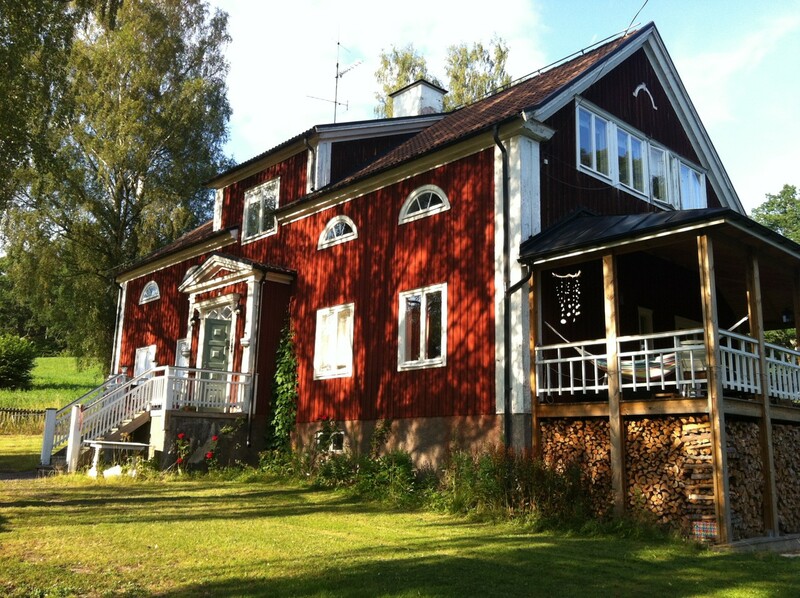 The house has a generous size (almost 300m2) and there is enough space for everyone. Both the upper- and the groundfloor have separate kitchens and bathrooms and therefore the house is well suitable for seperate families or larger groups to spend a vacation together. Here you find a large hallway, a full equiped kitchen, a dining room with a fireplace and exit to the breakfast porch (east), a TV-room with fireplace, a livingroom with access to a large porch with a roof, a double bedroom and a simpel bathroom with shower and toilet. On the upper floor you find a kitchen with dining area, a bathroom with a dubble sink, bath and shower and a separat toilet. There are 5 bedrooms that accomadates 10 people (three bedrooms with a doublebed, one bedroom with two single beds and one small bedroom with a single bed and juniorbed). We have a travel baby cot available. For children there is a playhouse and playground with swings, climbing ladder, trampoline with safetynet and outdoor games such as bowler, badminton and croquet. At a the lake Västersjön(2 km) there is a larger BBQ place and small beach. Here you also find our two canoes and rowingboat, free of use. In Fröjerum (about 8 km) there is a small but very nice bathing area with a jetty and a float. The nearest grocery store and gas station in Kvarnvik (7 km) and the nearest major towns are Valdemarsvik (25 km) or Atvidaberg (25 km). Linköping and Norrköping you will reach within an hour. North of Norrköping you can visit the Zoo Kolmården. 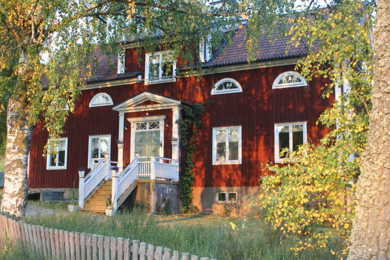 The childrens favorit may be Astrid Lindgrens Värld in Vimmerby, where the characters off for exempel Pippi, come to life. Worth a day trip is the archipelago of Gryt and Tjust. From Valdemarsvik several boatlines are available for a exciting tour through this beautifull area. Rent per week: 8700 sek (with a max of 6 adults) according agreement with the landlord. Bedlinen and towels are not included in the price, the guests wil have to bring their own. It is required that the guests clean the house before departure. The tenant wil pay a deposit fee of 1000 kr. The deposit is returned as the house is left clean and in good condition. The price includes average use of electricity and water. Firewood for one evening in the bathtub is included in the price.